Our ongoing SuDS Detention Basin project for Rotherham MBC needed a watercourse cross section survey. This will be used to build and link a 1D river model to a 2D ground surface model using InfoWorks ICM. 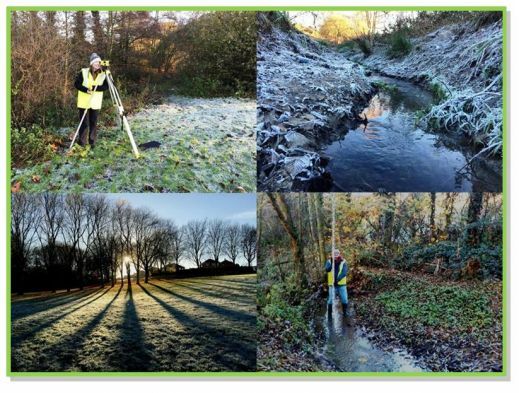 The survey coincided with the coldest day of the year so far, with a very frosty -4°C early morning start. Graduate Chloe Glencross, from Sheffield, who was part of the survey team commented “I haven’t been to Rotherham before, it looks like Narnia”. Phoenix Adam Consultants © 2019. All Rights Reserved.